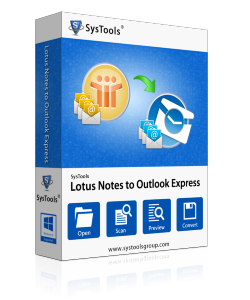 To configure Microsoft Outlook in Lotus it is easy to utilize the Outlook to Notes tool as the software USP is its user friendly and also economic nature. Why Lotus Notes Over Outlook Is Considered As A Better Option? All the above mentioned and many more facilities make the Lotus Notes a favorite of any small and big scale industries who were previously using Outlook. The change in email client will bring a very big difference in the whole working mode and getting the data that is in use within Outlook in PST format readable and accessible in Lotus Notes is the next issue to be solved and for that Outlook to Notes tool is very useful as it will handle the section of data conversion with reliability and easiness. The PST to NSF conversion can be carried out with confidence if user is known about the process in advance. The user can get a live demo of the process in advance if he downloads the edition that is free from the download button below. Free edition is restricted from converting the data as a whole, but it can convert the 15 items from each folder and is capable enough to make the user understand the process of PST to NSF conversion. The tool is available to perform the full working edition if you purchase the license for a nominal amount only. The restrictions with the free edition are breakable with the license and once you get the tool it become easy to convert the PST files to NSF files. Copyright © 2013-2019 www.bkffilerecovery.org | All Rights Reserved.